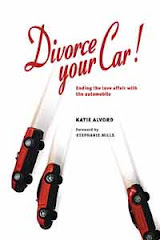 Divorce Your Car! : Gulf Disaster’s Possible Health Effects: Environmental Illness? Gulf Disaster’s Possible Health Effects: Environmental Illness? This is #24 in a series of blog posts about recovering from the Gulf oil spill and from oil dependency overall. The first introduces the series. "They're flying dispersant over us. They're lighting fires sometimes starting at 6:30 in the morning," he tells me …. "There's smoke in the air. 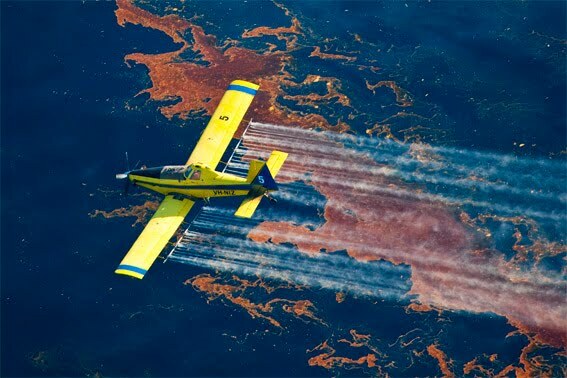 There's oil, there's benzene, there's dispersant ...."
In the heat and sun out on the water, he says, you can almost see the "sheen evaporate off the top of the Gulf of Mexico." "And I feel really funky when we are out there," he tells me. "When I wake up out there, my heart starts fluttering. It's like you smoked a pack of cigarettes then held your breath," says Willman, who says he hasn't smoked in 9 months. "I get an immediate headache when I come in contact with crude oil," he says. "And my skin itches like it's cracking." His wife, Misty, says she's experienced what she calls "heart flutters," what she describes as feeling like unexpected rushes of adrenalin. "Everyone out there is coughing," says Willman. "People are spitting stuff up in the morning and you can feel your blood pressure." "I'm 35 years old. I'm a healthy guy. But I don't feel myself. I'm light-headed and get dizzy. I'm getting headaches and my eyes burn. I get mood swings and I can't stop scratching…." A number of these symptoms - headaches, dizziness, skin itching - are consistent with oil vapor and solvent exposure, explains Dr. Rose Goldman, associate professor of environmental health at the Harvard School of Public Health. "It's a complex system," she says of potential exposure out on the oiled waters of the Gulf. There are volatile organic compounds coming off the oil. There may be an oil and water mist mixture. If there's burning nearby there will be smoke and particulates, and there's heat …. Having spent the last few years helping a spouse deal with environmental illness -- also known as multiple chemical sensitivities, or MCS -- I can speculate on what some of those long-term effects might be. MCS is poorly understood, but often seems to develop after chemical injury, or exposure to such a quantity of chemicals that a person's body loses the ability to function properly. A common phenomenon seen in MCS is "spreading" -- a progressive increase in reactivity to a wide range of chemicals beyond that causing the original injury, at lower and lower exposure levels. Gulf workers who develop MCS risk becoming extremely sensitive to even small quantities of petrochemicals. They might reach the point of being sickened simply by standing too close to someone whose clothes have been washed in standard laundry detergent. They might become unable to walk into hardware stores, where the quantity of synthetic molecules off-gassing from home and garden products will bring on symptoms: perhaps numbness and tingling in extremities, perhaps loss of muscle coordination, perhaps migraines, for some even seizures. Walking through a neighborhood could become like walking a gauntlet, if one neighbor’s dryer vent is sending fabric softener scents into the air, or another’s lawn is wafting weed-and-feed fumes. Not everyone exposed to toxicants gets this particular kind of sickness; as one specialist explained to us, genetic make-up might influence whether MCS develops in those who suffer from toxic chemical exposures (cancer and other degenerative diseases are also potential results from such exposures). According to an overview by Cynthia Wilson of the Chemical Injury Information Network, research now suggests MCS might be some combination of central nervous system damage (such as from chemical exposures) and detoxification enzyme deficiencies (possibly related to genetic make-up). Our incomplete understanding of MCS makes dealing with the condition a challenge. So does the fact that it's not yet recognized as a diagnosable condition by the American Medical Association or the World Health Organization. It shares characteristics with Gulf War Syndrome; perhaps --unfortunately -- we will also see the development of Gulf Spill Syndrome. For those who do end up suffering long-term chemical sensitivities or environmental illness as a result of oil spill exposures, below are a few resources that might help. Sadly, I suspect that full recovery from the Deepwater Horizon disaster could require helping many who develop this condition; cutting our use of petroleum products will also be an important part of that. Chemical Injury Information Network – Provides support and advocacy for those with MCS. Maintains an excellent library of helpful reports on chemical injuries and MCS, and publishes the informative newsletter Our Toxic Times; the July 2010 issue includes significant coverage of the Gulf spill. Human Ecology Action League (HEAL) – Another source of information and support for those with MCS; seeks to “encourage healthy lifestyles that minimize potentially hazardous environmental exposures.” HEAL’s newsletter The Human Ecologist has won an Utne Independent Press Award; the group also publishes a travel directory and materials about the health risks of fragrances. MCS America (MCSA) -- Advocates official medical and legal recognition of MCS and provides resources to support those with the condition. Lobbies to reduce use of environmental toxicants. Now in the process of constructing an informational page on petroleum products, with links. Also links to referral lists of doctors, dentists and housing sources on its website. American Academy of Environmental Medicine -- International association of physicians and other health care professionals interested in environmental health; provides research and education in recognition, treatment and prevention of chemically-induced illnesses. Practitioners who belong to AAEM may be more versed in treatments for people with MCS / environmental illness. The group can also provide training and assistance to non-member physicians. AAEM’s website allows you to search and find members by state, country, and member type. A beautiful page. I liked. yes, ditto on that comment above. It's daunting to think of the long-term health effects of this spill--the short term monetary costs are nothing compared to the long-term suffering this disaster will produce. Reviewers call it: "trenchant, funny, and ready to use..." "informative and inspiring..." "the best I've seen on this topic..." - Click below to buy the book!